It is said that Snow Peas get their name because they sprout very early in the spring and occasionally get caught in a late spring snowstorm. 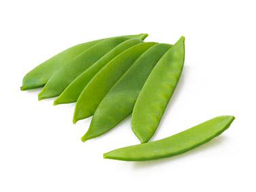 Snow peas are bright green and are often used in Asian stir-fries. 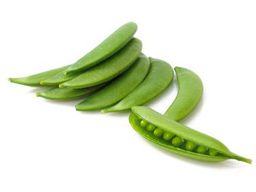 They are part of the legume family of sugar peas and have edible pods. Snow Peas are flat with tiny seeds that can barely be seen through the pods. They are low in calories and high in Vitamins A and C; making them a must in a healthy diet.